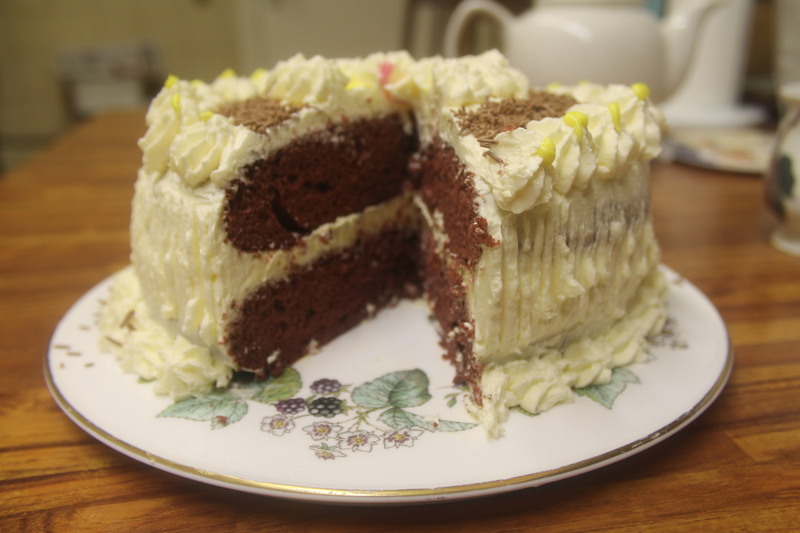 Red Velvet cake is basically a chocolate cake with red coloring so you can use a Betty Crocker cake mix or use the chocolate cake we made earlier in the year and add some red coloring. You can also use a tub of Betty Crocker Cream Cheese style icing or you can make an icing and filling of your own. I used an Italian Meringue Icing which we will be making next week. So either make the cake mix or start from scratch by heating the oven and preparing your tins. Oven 180 C 350 F or gas mark 4 Grease and/or line 2 8 inch cake tins. Cream together the butter and sugar until light and fluffy, add the eggs one at a time with a tablespoon of flour with each egg. Whisk well. Slowly fold in the flour and cocoa powder then add the food coloring until the desired color is achieved. Put into the two tins and bake for 20 minutes. Allow to cool slightly in the tins then remove and place on a cooling rack. 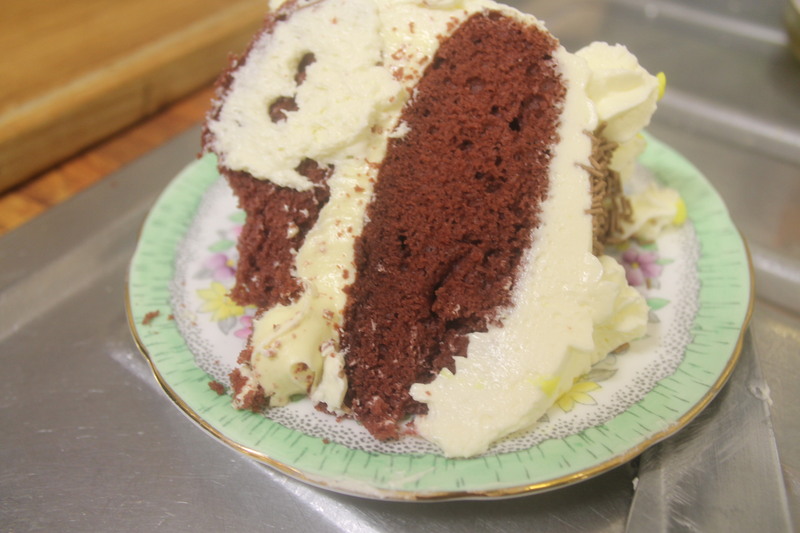 Once cold use the cream cheese style icing to sandwich the two cakes together and all round the top and sides. Decorate as you like.